ECHO reguguarly keeps track of crop porduction records especially for crops disseminated from our Global Seed Bank. 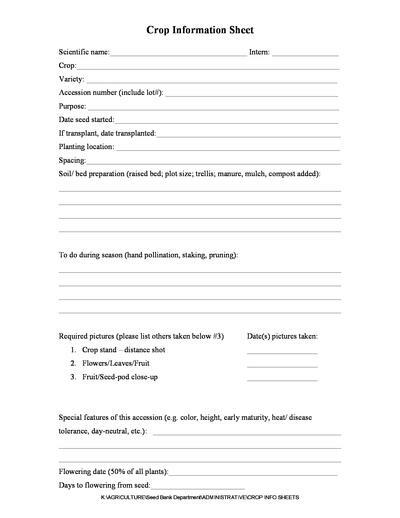 This fillable form is the sheet ECHO staff (mainly interns) use when evaluating a crop for it's potential use and distribution to ECHO's Network. This form can also be used to monitor and evaluate new crops or regenerated crops. This form was made specifically for ECHO's use, so it may need adapted and reconfigured in order to best suit your needs and your capacity.